NAMTA members all have one thing in common – their desire to support the arts in any way they can. The Resource section of NAMTA's Art Advocacy site's goal is to provide you with the tools and knowledge to help you to get involved in advocating for the arts in both your own community and across the country as well. NAMTA wants to hear from you! Did you find a great resource that isn't listed here? Did you successfully help stop a funding cut in your community? Tell us how you did it and what tools you used! The resource section of this site is a work in progress and with NAMTA members help it will continue to grow. NEW Americans for the Arts is pleased to launch their new Arts Mobilization Center which is your hub for the information you need to advocate for the arts today. The Arts Mobilization Center contains messages that the CEO, Robert Lynch, has distributed, policy response statements Americans for the Arts has issued on key and timely topics, news articles you may find useful, and important action steps for you to take now and in the weeks and months to come. 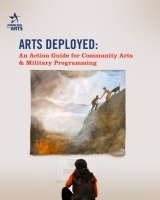 NEW Americans for the Arts is pleased to release a new guide, Arts Deployed: An Action Guide for Community Arts & Military Programming, for local arts organizations and artists interested in bringing creative arts programming to military and Veteran communities, their caregivers, and families. A collaboration between AFTA’s National Initiative for Arts & Health and the Military (NIAHM) and the Local Arts Advancement (LAA) department, Arts Deployed helps local arts organizations and artists understand their unique roles in serving their military and Veteran communities; details the expansive benefits the arts have on the health and well-being of these communities; and lays the groundwork—step-by-step, from establishing fruitful partnerships with the military and Veteran sector, through funding and promotion—for arts organizations and artists to build their own creative arts initiative for their local military and/or Veteran communities. With over 300 contributors and over 175 partner organizations, the Arts Education Navigator is your connection to the tools and resources you need to make the case for arts education! Do you believe in the transformative power of arts education? The Arts Education Navigator will help you transform your passion into action. Follow the six step process to move from simple supporter to empowered advocate! Since the Kennedy Center’s opening in 1971, schoolchildren, parents and educators have turned to us as the nation’s premiere cultural resource. 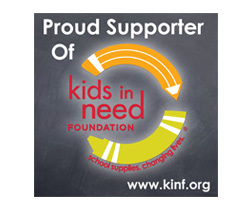 Embracing this responsibility, the Kennedy Center instituted ARTSEDGE in 1996 as its educational media arm, reaching out to schools, communities, individuals and families with printed materials, classroom support and Internet technologies. 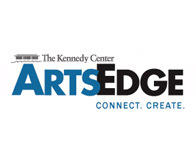 The full impact of ARTSEDGE might be measured by considering that of the eleven million people who participate in Kennedy Center Education Department programming each year, four million do it through ARTSEDGE resources. The Americans for the Arts has developed a toolkit to educate you and assist you on fighting funding cuts in your own community. When you face a funding cut, you need to be able to take swift and efficient action to mitigate the situation -mobilize your advocates, create your message, and implement your strategy. To simplify this process for you, we have developed this ever-expanding online tool to provide you with current information and key messaging, communications and advocacy strategies, and the research you need to make the case. The Arts Education Partnership, a national network of organzitions, is a center within Education Commission of the States dedicated to advancing the arts in education through research, policy and practice. It takes a village to provide a well-rounded education to every child. 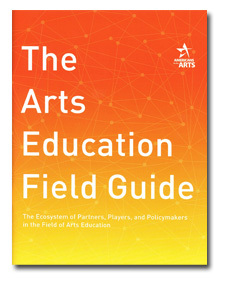 Use our tool, The Arts Education Field Guide, to find the connections and partnerships that will strengthen arts education in your community. All 50 states and the six U.S. jurisdictions (American Samoa, District of Columbia, Guam, Northern Marianas, Puerto Rico, and the U.S. Virgin Islands) have state arts agencies. 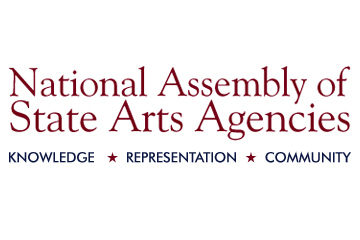 Visit NASAA's state arts agency directory to learn more about your own state arts agency. DataArts offers an unparalleled longitudinal dataset, including financial, programmatic, and operational information from thousands of cultural nonprofits. An essential resource for a range of research studies, we also give advocates the evidence to make a more powerful case for the value and impact of the arts. We provide data in many forms for many purposes: From raw structured datasets for academic or field research, to custom analysis and reports for publication. "Welcome to the NCAR Report, in which we share evidence-based insights into the health of US arts and cultural organizations. There is no one-size-fits-all performance measure or objective for such a diverse field, only answers to relevant questions that provide an array of useful measures and vantage points. Some anomalies also point to additional questions to explore. We care about numbers, not for their own sake, but because we believe that healthier arts and cultural organizations will have more resources to invest in artistic and cultural offerings and in community engagement."